Roadrunners, based in Croydon, were established around thirty years ago before being took over by Stuart Wilkinson back in the nineties. It wasn’t too long before Jamie and Ben Wilkinson joined the team to make it a family run business. They cover a large area which includes most of the densely populated SE postcode of London. 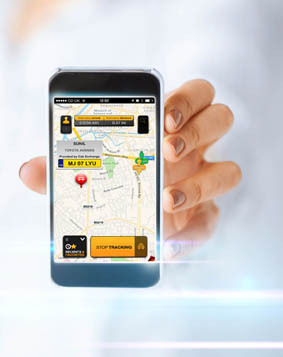 The aim of Roadrunners is to provide a prompt and high level of service to their customers who demand up to 14,000 jobs per week between them which adequately serves Roadrunners 200 strong fleet. Roadrunners dispatch over half a million jobs per year with 90% of those within ten minutes. It is service like this that helps them maintain a substantial lead over their competitors. However, to do this, they need a system that can handle this volume of work with speed and efficiency. That system comes in the form of Ghost dispatch from Autocab. Ghost can not only easily dispatch high volumes of work with ease but can also improve overall business efficiency and operations. Ghost is a huge improvement on their last system which would struggle and crash during busy periods.